How are you finding adapting to another new bike? It’s going OK. I’m still going faster every time I leave the box but I’m not making as much progress as I’d like. I’d like to be in front of a couple of people on the starting grid. We’ll keep chipping away at it and the thing is that it’s always hard when you get these kind of callups and you have to throw your leg over something and learn everything in the heat of a race weekend, when everyone else is obviously up to speed. 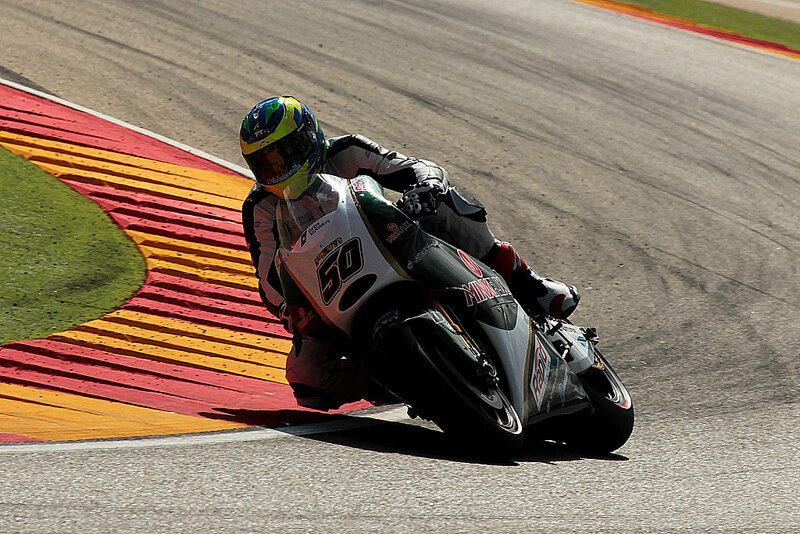 Aragon was a case of trying to get the hang of the bike and then here I’ve got the track to learn. It’s quite a lap here so I’ve had a lot on my plate for the last two rounds. We’re making progress and we’re getting closer to the guys in front of us and if I can have a good race tomorrow and hopefully pick a couple of them off and carry that momentum into Philip Island and a track that I know. How much of a difference does it make that you know you have until the end of the season on the bike rather than just a one off ride? It was one of the reasons that I choose to come here. This weekend is the same weekend as the last round of the IDM Superbike Championship which I’m contracted to ride in and having just lost the championship there, I’m still second but it’s out of reach now, I had the opportunity to come here and get three weekends in a row. That’s what I’ve wanted because every time that I’ve stepped into MotoGP it’s been a case of throwing your leg over it and winging it for the weekend and then going home. So this is the first chance I’ve had to do a few weekends in a row and that’s what I wanted and why I choose to come here. Thankfully my RAC BMW team were really great and understanding about it and gave me their full blessing to come and do it. That was really why I wanted to do these next races because I have three weekends in a row where I can progress. We need to work out which direction we need to go with the bike and make some progress with it. What do you think of the bike? To be honest chassis wise it’s actually pretty good. We haven’t actually changed a lot in terms of chassis; the base setup that we started with in Aragon is the same as what Michael has had most of the season. The biggest issue that I’m having is with the electronics side. Obviously we’ve got the Aprilia engine but it’s completely different electronics compared to the ART bikes which have the Aprilia electronics and it gives us a lot less that we can do in terms of the engine braking and some other things. On corner entry I can’t seem to get the bike stopped and that’s probably the thing that we’re battling with the most at the moment. Chassis wise on the faster sections I feel pretty good and I’m not losing a whole bunch of time. In the slower sections is where I’m suffering the most. We’re obviously a bit limited in what we can do about that because we’ve got the Dorna spec ECU but the boys are working on it and we made some progress with it today. 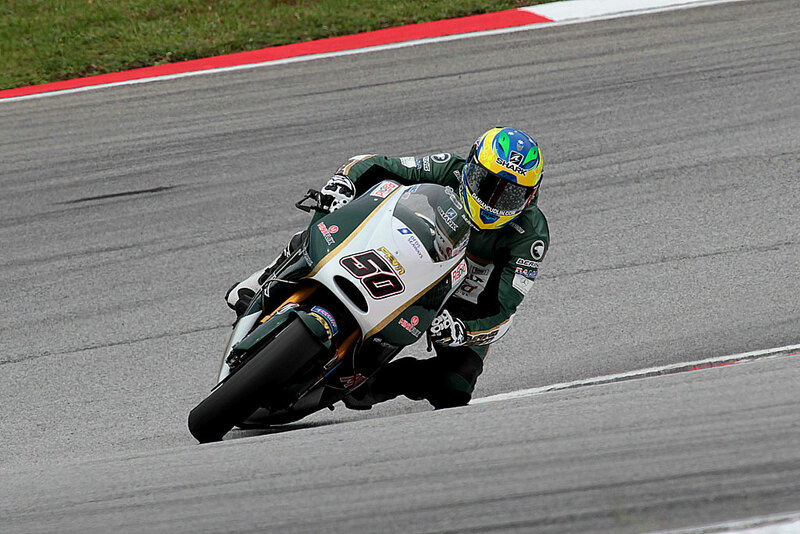 How does it compare to the Pramac Ducati you rode before? That bike was awesome to ride! It was hard to ride. That bike I hardly touched the base setting all weekend when I rode it at Motegi I had to learn the bike and the track at the same time. But by the end of the weekend we were going pretty good and were pretty close to the other Ducati guys. 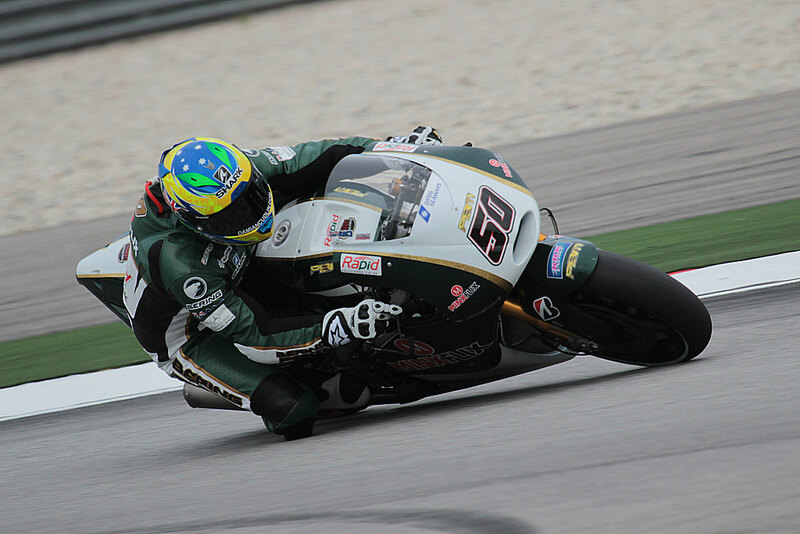 The PBM bike obviously quite different but I think that the electronics are the biggest difference. Also the engine characteristics of the Ducati were different, it’s got a booming motor, but it’s not the easiest thing in the world to ride. 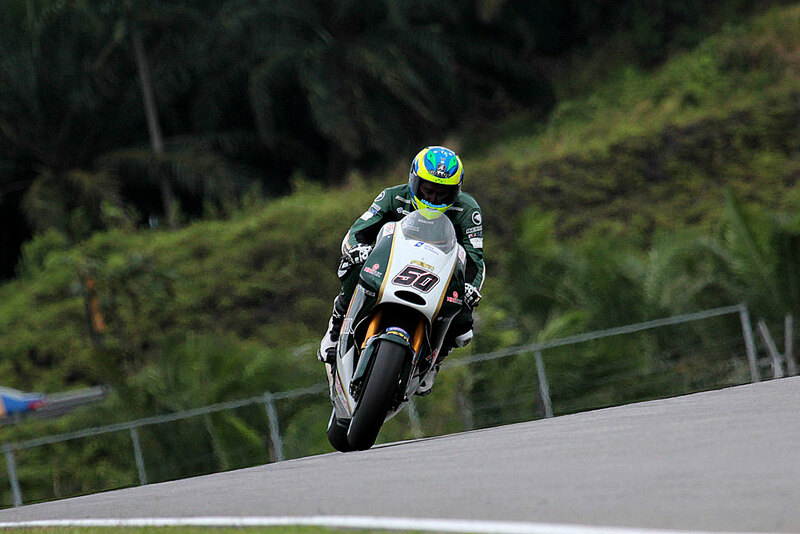 It was a good experience and I think that I learned a lot in that time with the carbon brakes and Bridgestone tyres. Being able to tick them off the list was probably what put my name to the top of the list for this kind of fill in job. How did the deal with PBM come about? I actually got a call from Phil [Borely] and told me about the situation with Yonny. I had actually spoken briefly to Pramac in the beginning about that bike but Yonny obviously ended up going there and it left a whole at PBM and I guess I was one of the names in the hat. 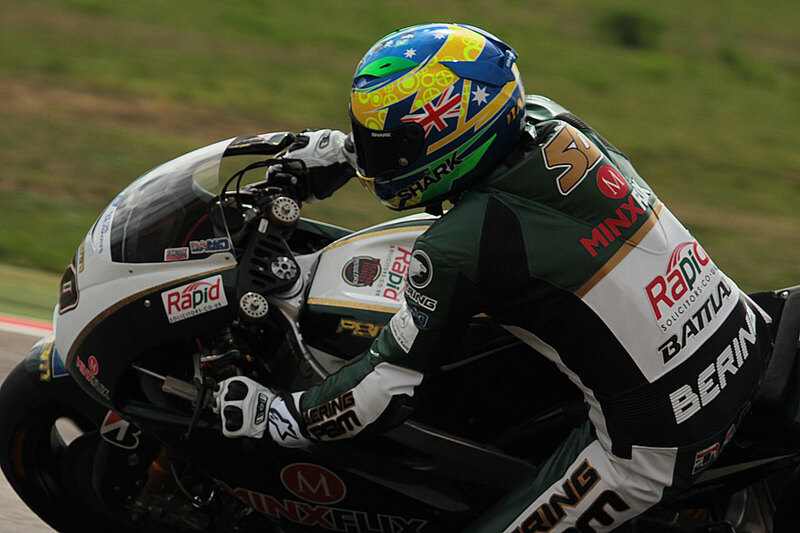 It suited me at the time to have a go and gives me a chance to come back into MotoGP. I want to try and grab the opportunity with both hands and now I’ve got to try and get a bit further up the field if I can. This entry was posted in Interviews, MotoGP and tagged Aprilia, Aragon, Bridgestone, Ducati, Grand Prix motorcycle racing, PBM, Twin Ring Motegi, Yonny Hernandez. Bookmark the permalink.